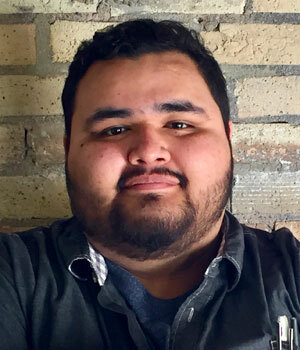 Mark Olivares, Community Organizer, has been on staff with St. Paul Smart Trips since November 2015. His current work focuses on leading interns through a process to become youth advocates for their communities. Building on his years of experience in the youth development field, Mark has worked with us over the past year to develop a space for teens to get connected with sustainable transportation work. He originally joined our team from the Kitty Anderson Youth Science Center at the Science Museum of Minnesota, where he was a long-time collaborator with our Frogtown Neighborhoods program. In his spare time, Mark creates visual artwork and loves working on graphic design projects.